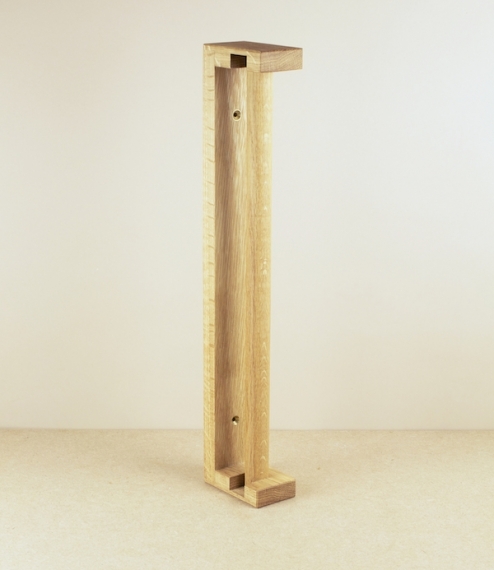 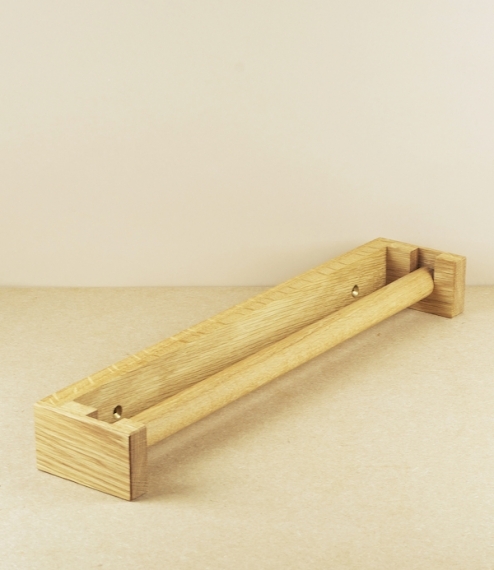 A well machined, British made, oak roller towel holder with an oiled finish. 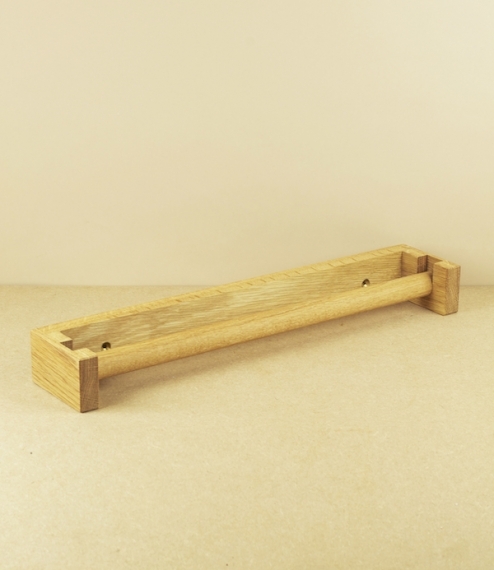 Supplied with brass fittings suitable for kitchen or bathroom use. 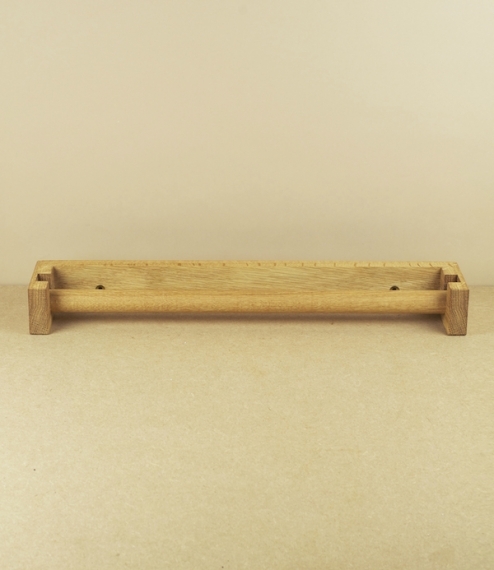 Measures approximately 49.5cm x 9.8cm x 5.5 cm, although as a handmade product these are subject to slight variation.